PANAMA CITY, Panama, October 7, 2011 (ENS) – A week of formal United Nations climate negotiations in Panama ended Friday with progress on drafting decision texts that will allow governments to push ahead in Durban with concrete help for the developing world to deal with climate change, said UN officials. But delegates from developing countries and environmental groups expressed doubt that rich countries will provide the necessary financial support to help developing countries cope with climate change, despite their promises. 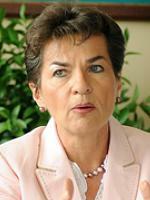 “Panama made good progress on preparing the decisions that will help developing countries adapt to climate change and get access to the technologies they need to create their own clean energy futures,” said Christiana Figueres, executive secretary of the UN Framework Convention on Climate Change, UNFCCC. “This includes meeting deadlines for the launch of the new Adaptation Committee and Technology Mechanism, which were agreed at last year’s Cancun climate change conference,” said Figueres. “It also made clear progress on how efforts to limit emissions by developing countries will be matched with necessary support from developed countries in a transparent way,” she said. This includes work on a new Registry to record and account for this effort, which was also agreed in Cancun. The meeting in Panama City, which opened October 1, was the last formal negotiating session of the year in advance of the next annual UN Climate Change Conference in Durban, South Africa, November 28 to December 9. “The progress made in Panama means governments can have more time and space in the coming weeks and during Durban to resolve those outstanding issues on the future of the global climate change regime which will require political guidance,” said Figueres. 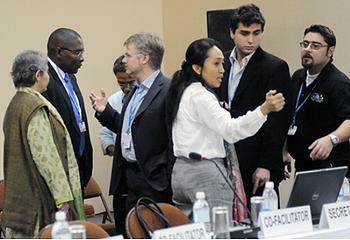 “Durban will have to resolve the open question over the future of the Kyoto Protocol and what that means for a future global climate agreement,” she said. The governments of the United States, Japan and Canada and other industrialized countries are seeking to side-step the Kyoto Protocol, the world’s only legally binding emissions reductions framework, and replace it with a voluntary system of regulating greenhouse gas emissions. The United States has signed but not ratified the Kyoto Protocol. Japan and Canada have ratified the treaty, but have backed away from its main provision – an average 5.2 percent reduction in greenhouse gas emissions below 1990 levels by the end of 2012. Australia, Norway and other countries also are now advocating a new climate treaty with a narrow focus on cutting climate emissions and new burdens on developing countries to cut emissions with no corresponding provisions for finance, technology, adaptation or capacity-building. “Governments retain different positions but many technical issues related to this have already been brought to conclusion and there is a strong desire from all sides to see a final political decision made,” Figueres said about the Kyoto Protocol. In Panama, the South African Presidency led two inclusive and transparent consultations on these questions, one with governments and one with stakeholders and civil society. Turning to the financial support that developed countries have pledged to the developing world, Figueres said talks in Panama had provided “a better view” of how the US$30 billion in fast-track funds up to the end of 2012 have been committed and the plans to disburse them. In Panama, governments put forward their ideas for mobilizing the long-term financing to help developing countries cope with climate change that should reach US$100 billion a year by 2020. Members of the African Group and the Least Developed Countries Group Thursday called on the United States and other industrialized countries to stop blocking progress on climate finance and to help the negotiations move forward. 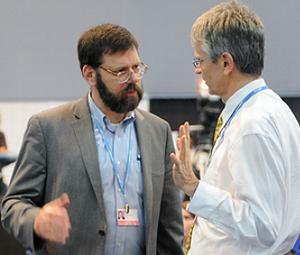 In negotiations on finance, the United States delegate said that long-term climate finance was addressed in Cancun, and that there is no mandate to discuss it further. The developing countries note that there are no finance pledges starting in 2013, immediately after the 2010-2012 climate finance pledge ends, yet developed countries expect developing countries to take on new responsibilities. Talks in Panama made what Figueres called “some progress” on the longer-term question of how governments will meet their agreed goal of limiting the global average temperature rise to no more than two degrees Celsius above pre-industrial levels. This is the amount of temperature rise that most scientists say is the maximum allowable to avoid the worst consequences of climate change. In Durban, governments will look to decide the shape of a formal review between 2013 and 2015, which they agreed at last year’s climate conference in Cancun, Mexico as a reality check on progress towards their temperature goal. Governments discussed the possibility of conducting this review through an expert body that would receive updates on the latest climate change science and its assessments. 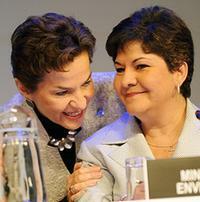 “Clarity on an effective, credible review is most important, especially in light of the fact that the sum total of current national pledges to reduce global emissions falls 40 percent short of keeping below two degrees Celsius and that gap will have to be filled in the future,” said Figueres. The government of Panama will strengthen its climate risk management with the help of a $100 million loan approved Thursday by the Inter-American Development Bank. The loan will fund a program to develop a framework for policy, disaster risk management, and climate change adaptation, benefitting populations most vulnerable to natural disasters. Panama’s disaster response will be strengthened with training and updates of emergency-response protocols. 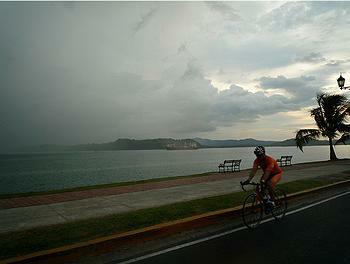 Panama is one of the top countries in the world affected by extreme weather phenomena due to climate change. Because of the country’s geography, one in eight Panamanians is vulnerable to multiple natural hazards such as storms, flooding and earthquakes. 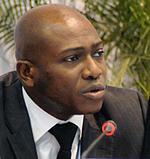 In the 25 years ending in 2008, Panama suffered losses amounting to $80 million from natural disasters. Temperature and sea level rises related to climate change also pose a potential threat to the Panama Canal and other major sources of income such as tourism and agriculture. “Strengthening Panama’s disaster risk management is an essential component of the country’s economic development strategy,” said Hector Malarin, chief of the Environment, Rural Development and Disaster Risk Management Division at the Inter-American Development Bank. The project will facilitate policy coordination among government agencies so that they can respond more quickly and more efficiently to natural disasters.